You hate to fold your laundry? We do! 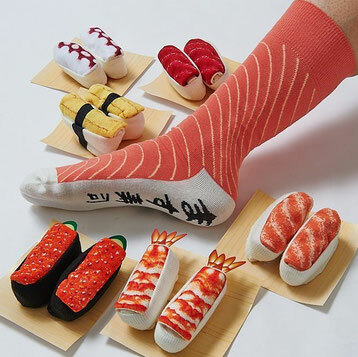 But what if your socks would look like some delicious sushi when folded? That would be quite rewarding and fun to see them sitting in your drawer. 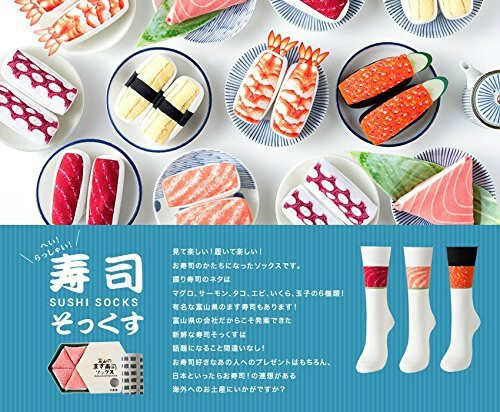 Sushi socks are the wildly popular in Japan right now and a real eye catcher. They come in different designs such as salmon, shrimp, octopus, egg etc. Also some can be rolled like Maki Sushi and some folded into a triangle! Also fun as a gift to your friends or family! 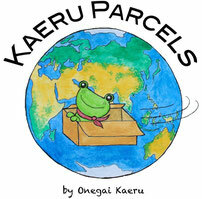 Onegai Kaeru bring happiness to the world with its shopping service and original super cute items!